PLEASE NOTE: The Non-Resident State Park Vehicle Pass is intended ONLY for vehicles registered in a state other than Connecticut. 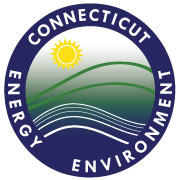 If your vehicle is registered in Connecticut, you may now park free of charge at state parks, forests & beaches under the Passport to Parks program. The DEEP 2019 Non-Resident State Park Vehicle Pass allows unlimited vehicle access to any state park or recreation area that has a parking fee, and it is valid every day of the week, including weekends & holidays. Visit your favorite forest, park or beach time and again! The Pass is applied to your vehicle as a windshield sticker and will waive all parking fees for calendar year 2019. Pass is invalid unless adhered to the windshield, and proof of purchase will not be accepted in place of the physical Pass. It is non-transferable to any other vehicle. Pass does not cover admissions to Dinosaur State Park or Fort Trumbull Exhibit Centers, tours of Gillette Castle, camping or special events. PLEASE NOTE: Price includes all applicable shipping & handling charges.